1. How to respect our elders. We describe elderly people as senior citizens, but Kenyans call on their elders as shikamoo — meaning high authority and respect — whenever they greet them. Literally translated, this means: ‘I hold your feet.” It’s a very powerful image. 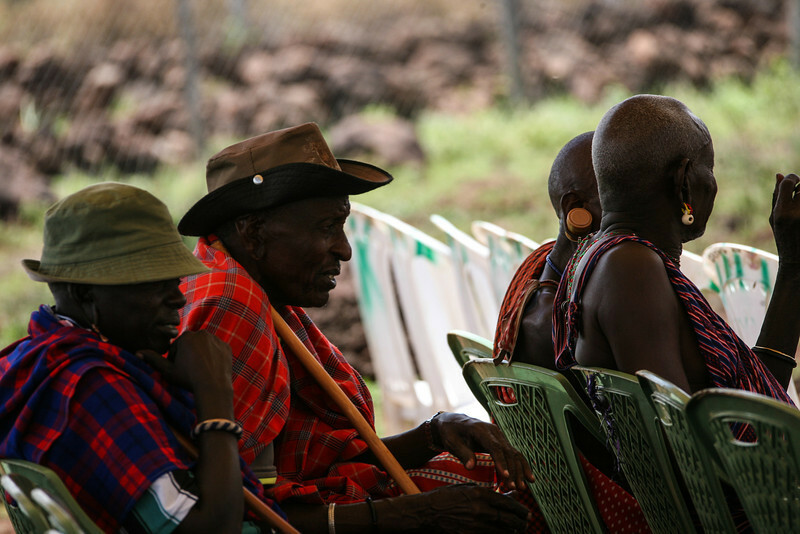 Elders in Kenya have major influence within their communities. They’re not only admired, but they hold the final say in major decisions within tribes, they solve family conflicts and urge political rulings. An elder’s wisdom is respected and highly treasured, and they’re cared for by their families well into their passing. Back home in the States, we may have subsidized housing, Medicare and Social Security, but many of our elderly are homeless or still just barely scraping by. We need to be more tolerant of our elders, keeping them a part of our lives and calling on them for insight and wisdom. 2. How to say ‘Hello’ and actually mean it. Americans will say: ‘Um, yah, can you get me those TPS reports by this afternoon?’ Without so much as an acknowledgment of the person in front of them or a ‘Good morning.’ Kenyans are shocked if you don’t first ask: Umeamkaje? (‘How did you wake?’) Along with a: Habari ya asubuhi (‘How are you this morning?’) And then they’ll ask about your wife, children, cows, goats…. In Kenya, I learned that an effortless ‘habari‘ before jumping into the daily affairs of my day didn’t just make me polite, it created a positive impact. 3. How to raise a child with the help of a community. Can we just go back to the era when American kids came home when the streetlights turned on? Back then, the neighborhoods were filled with kids running around and the parents just looked after the ones who happened to be playing around their yard that evening. That was when American had a sense of community. Kenya has never gone without that sense of community. Children are raised by the many hands of their communities — whether they be in a village, city or boma (Maasai enclosure). Cousins are like sisters and brothers and neighbors are like their aunts and uncles. This generosity that Kenyans seem to be brought up with must follow them through to adulthood. 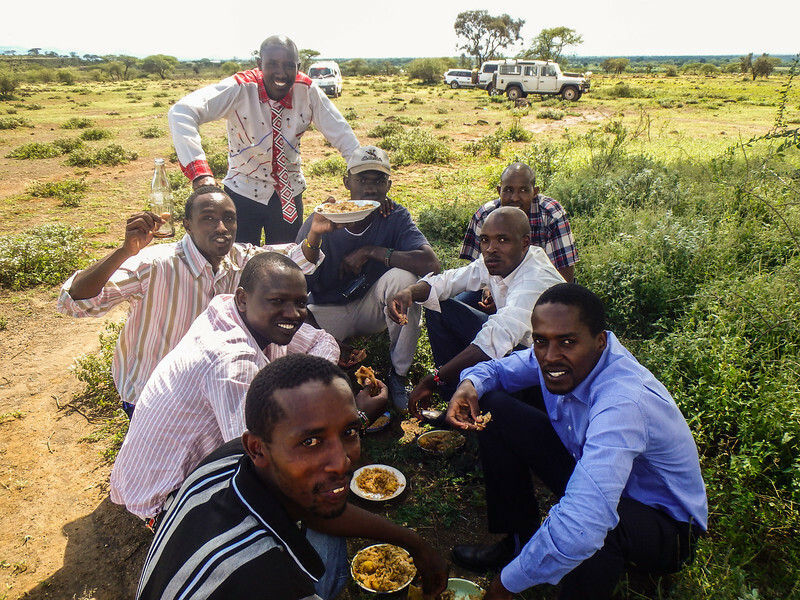 The people who I grew to know while living in Kenya taught me so much about communicating and being resourceful with the help of my neighbors, community members or even strangers. 4. How to create positive change with cell phone technology. There may be as many banks in the States as there are McDonalds, but that’s not the case in Kenya. In fact, a majority of Kenyans don’t even have a bank account. When you see a Kenyan teenager looking down at his cell phone he’s probably not posting on Facebook but on something called M-PESA instead. Safaricom, the country’s largest provider of cell phone coverage, found a way to solve the problem of bankless banking by allowing Kenyans in the most rural of areas the opportunity to transfer money via ‘text’ (M-PESA) to their family members. 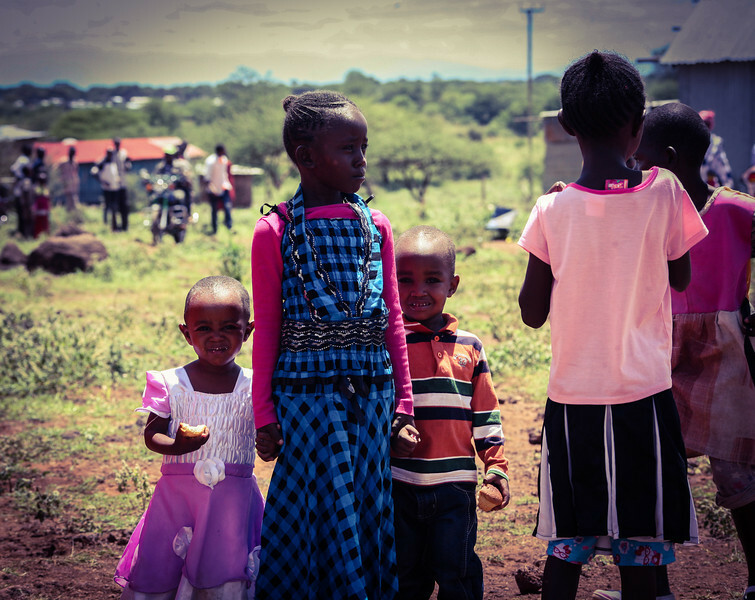 This new system is making a huge difference in some of the poorest communities in Kenya. For instance, many solar panel systems have been funded through M-PESA, allowing families to replace their dangerous, toxic and very expensive kerosene lamps. 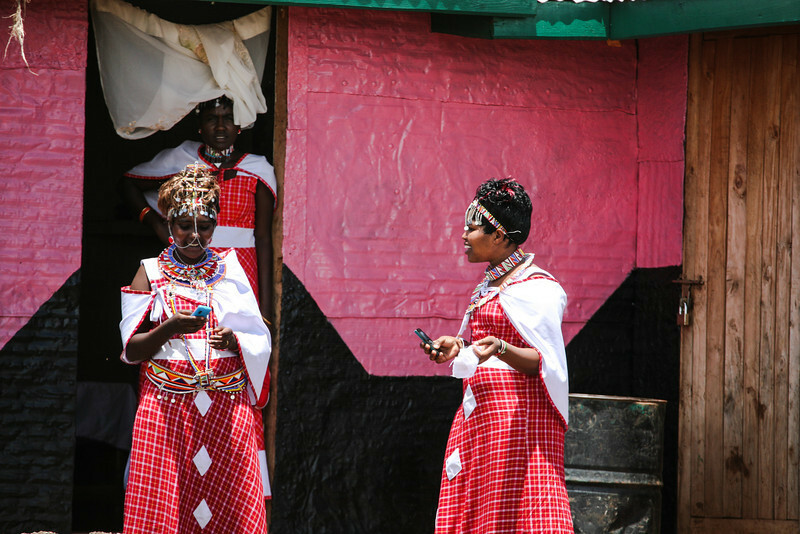 While we’re using our phones on a daily basis to stay connected with our latest Twitter feed, Kenyans are using this technology to create progress in their communities and take care of their friends and family. 5. How to wear whatever the hell you want because it’s comfortable. In America, we have so many rules for what masculinity should mean when it comes to dress. It seems as if women and men aren’t allowed to wear or enjoy the same things. But in Kenya, this didn’t seem to exist. I found that the men seemed to take on a whole new level of confidence and class with their fashion. They were often wearing what’s called a kikoi, which is a cotton sarong that actually originated from the Indian Ocean coast and was always intended to be traditionally worn by men. It’s just a practical thing to wear on a muggy summer’s day. 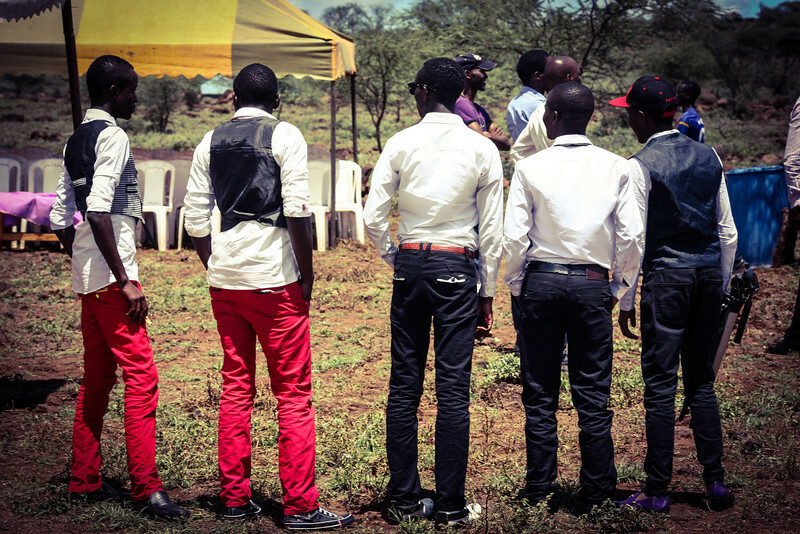 There are literally thousands of different patterns and bright colors to pick from, and a good quality kikoi can also be worn as nighttime dressy attire for your local nyama choma (barbecued meat) night out with nice a dress shirt. 6. How to feast without any cutlery. Nothing’s considered a full celebration without the ‘unofficial Kenyan dish’ of nyama choma. Deliciously charred mbuzi (goat) or ng’ombe (cow) is freshly slaughtered and cooked over charcoals or wood. There’s never a need for marinades, but there’s always a need for sides of ugali (cornmeal staple), kachumbari (tomatoes and onions), sukuma wiki (collard greens or kale). This whole combo has to be eaten with your fingers — something that might be considered totally rude back in the U.S. — to truly appreciate and make sure all the juices are sopped up with chapati (flat bread).